Bonnie Henn was born in Franklin, North Carolina. 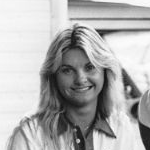 She is the daughter of Betty and Preston Henn (Preston won the Daytona 24 hour race in 1983 and 1985 as well as the Sebring 12 hour race in 1985. He also came second at Le Mans in 1984). Bonnie moved to South Florida with her family in 1962. She graduated from Deerfield Beach High School in 1974 where she was Homecoming Queen. In the '80s she enjoyed racing cars at Daytona and Sebring race tracks. Later she was involved in the family business, the Swap Shop, one of the world's biggest flea markets. She passed away suddenly on April 15, 2006 at her home in Lighthouse Point, FL.